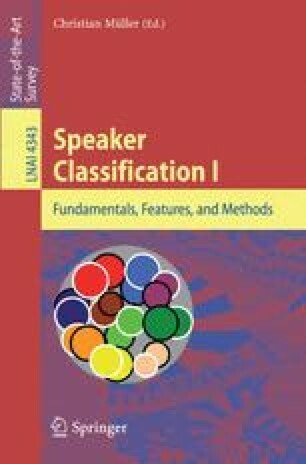 Speaker classification in forensic phonetics and acoustics is relevant for several practical tasks within this discipline, including voice analysis, voice comparison, and voice lineup. Six domains of speaker characteristics commonly used in forensic speech analysis are addressed: dialect, foreign accent, sociolect, age, gender, and medical conditions. Focussing on gender plus the less-commonly used characteristic of body size, it is argued that while auditory analysis is indispensable in forensic speaker classification, acoustic analysis can provide important additional information.